The ever-changing demographics of American society show a rise in what used to be considered minority groups. If you believe that’s debatable, take a look at the 2010 U. S. Census data and also inducement surveys done in 2010 by colleges and universities in the United States which compare the accuracy of the U.S Census data to information collected independently. The number of African-American, Latino-American, and Asian-American citizens has grown considerably. With that growth has come a change in the demographics of the American church. The traditional American church is no longer a unicultural demographic or location, but a multicultural setting and experience. With this change in American churches, some have questioned how worship music plays a part in unifying the vast ethnicities that have come to represent the body of Christ in American churches. 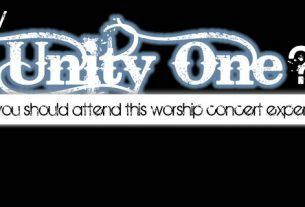 One answer has been to incorporate worship music that utilizes rhythms, languages, and songs from a range of ethnicities. Many churches have successfully used this method and sees it as a solution to the changing demographic of the American church; however, some continue to ask, why is multiethnic worship music important in American churches? So, why is ethnic diversity in worship is important? There are two reasons. First: God blesses us when we come together to worship Him. Throughout the Bible, there are instances of multiethnic worship that we can see as an example of why we should follow the same model. Christians would be most familiar with the examples of multiethnic worship in Acts 2 and Revelation 7. Diverse ethnicities were represented in each account and God did amazing things in both situations. It is our responsibility to remove the barriers that we have created which keep us from coming into greater relationship with Christ. Another reason multiethnic worship music is important in American churches is because it challenges us to see God at work outside of our own perception and culture. When we have the opportunity to see Christ represented through an expression of worship that is different than our own, we begin to get a better understanding of what the Spirit of God is doing, not just in our own world, but also globally. 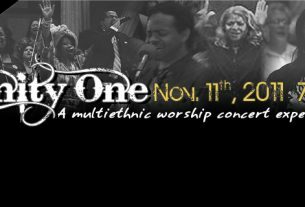 By viewing multicultural worship in the context of 1.) God blessing us as we seek unity in Him and 2). Seeing what God is doing globally in the body of Christ, our understanding of why multiethnic and/or multicultural worship music is important in American churches, changes. Worship together then becomes a way for us to show others about the love of Christ, not just a fun thing to do or something that is personal to our specific church. Integrating multiethnic worship music in American churches can be challenging, but it can be done. When we keep in mind it should be done because it puts the kingdom of God forward as a catalyst for change and social justice (i.e. global thinking), we will begin to see more and more why ethnic diversity in worship is so important and the positive effect it can have on our church(es).